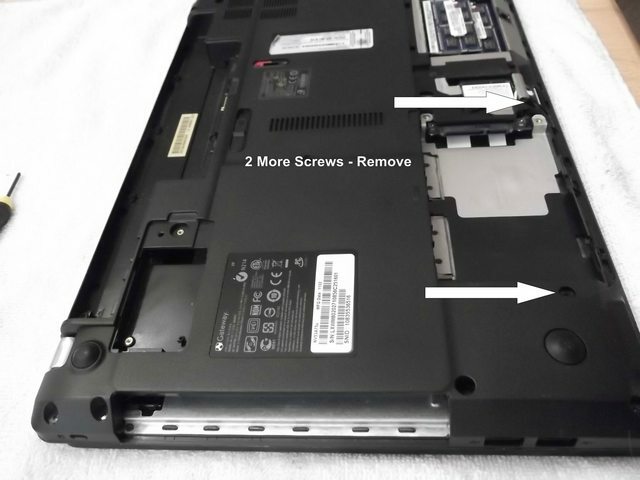 Keyboard Removal, this is a bit tricky………..
Look close above these keys, push these VERY small tabs/clips up and in towards screen. 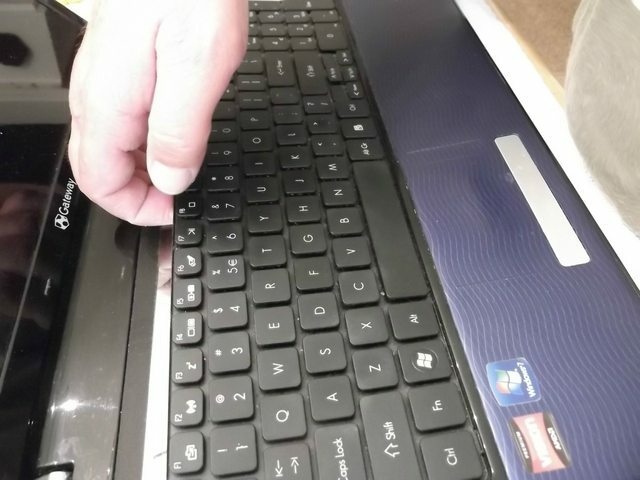 These clips lock keyboard down in place. 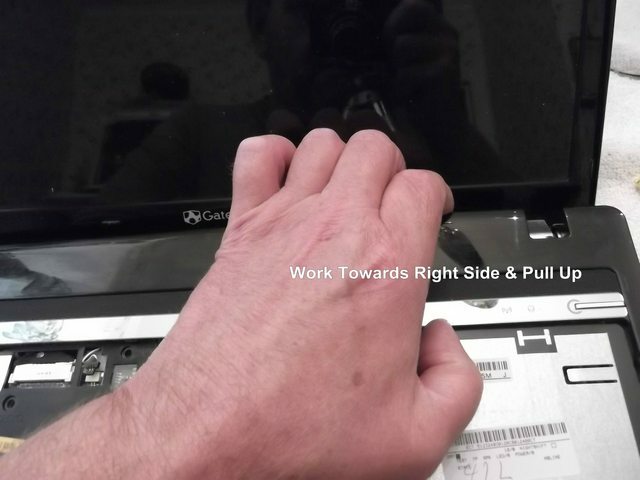 Start with the “Delete” tab and work towards the left “F4” key tab. 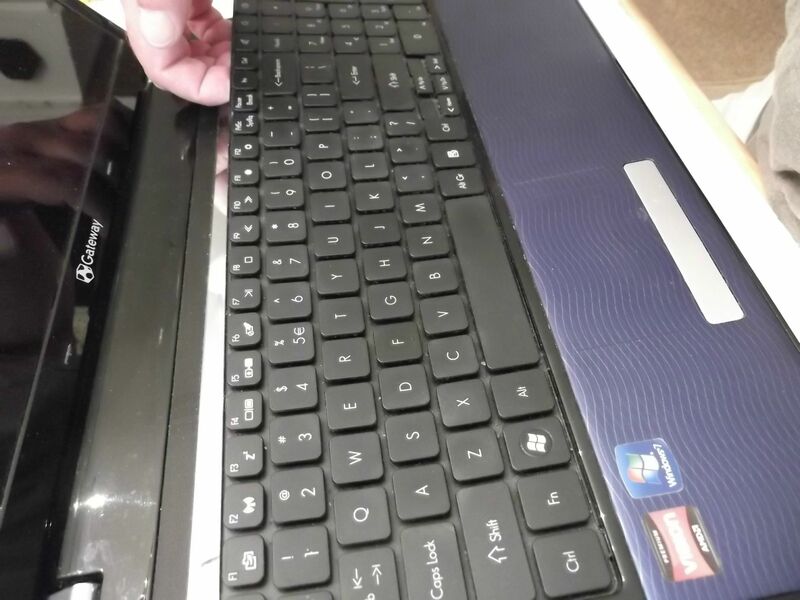 The next tricky part is getting the keyboard to pop up and out enough to grab and pull up from right to left. 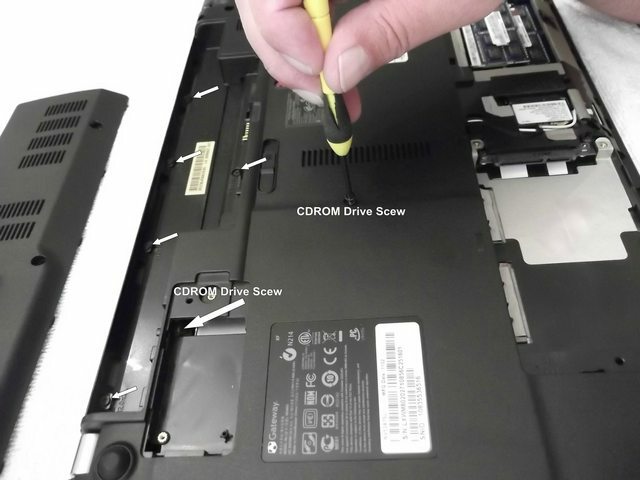 Pull the top of keyboard up slowly, be careful there is a ribbon cable that connects keyboard to motherboard. 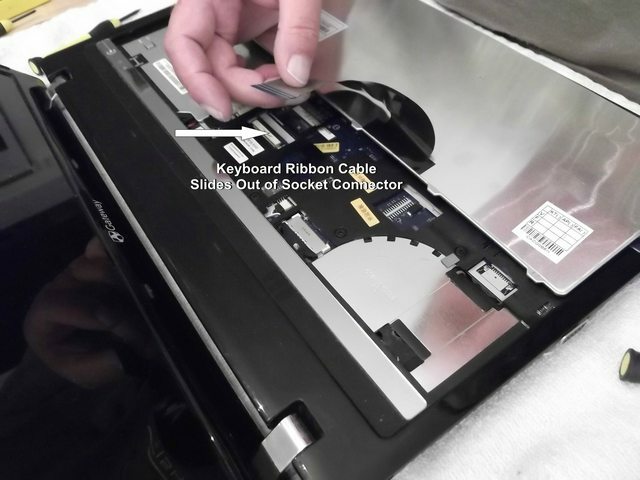 2 small black tabs, carefully gently push tabs out a bit to unlock the keyboard ribbon cable. 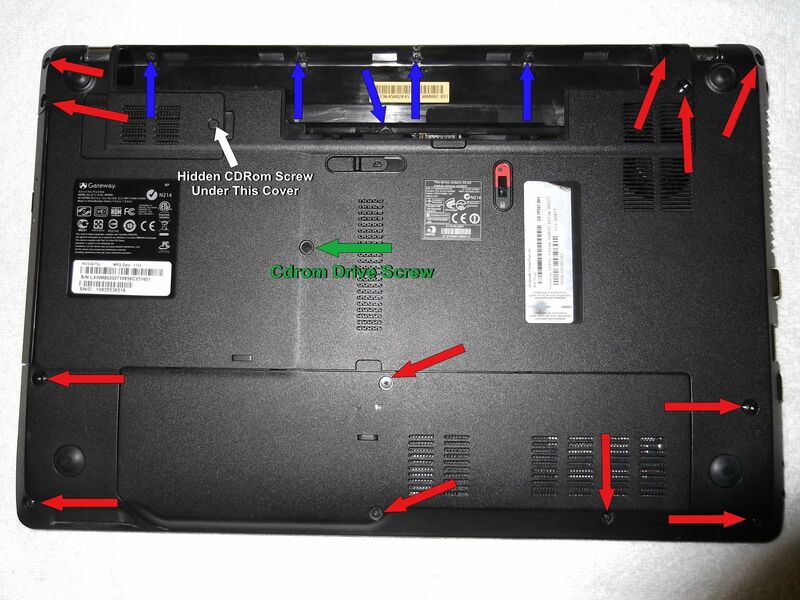 Black lock bar tabs push towards front of laptop, slowly! You break these off then we have other issues. 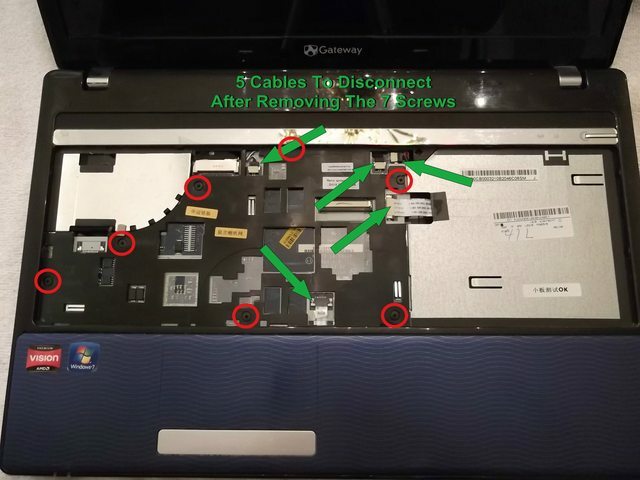 7 screws on palmrest marked in red, remove. 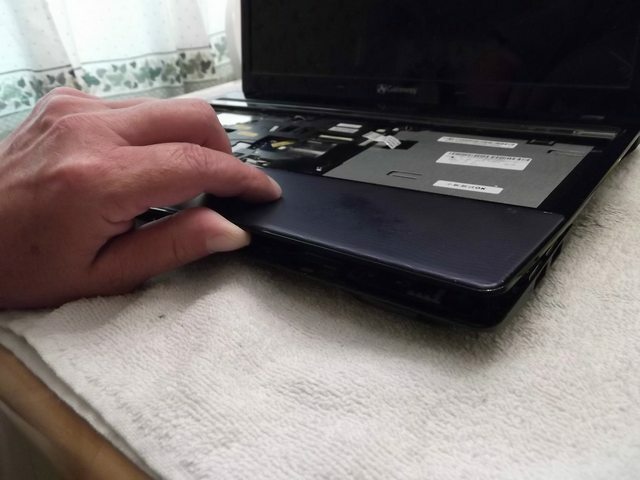 After removing the 7 screws on palmrest, and 4 cables…. 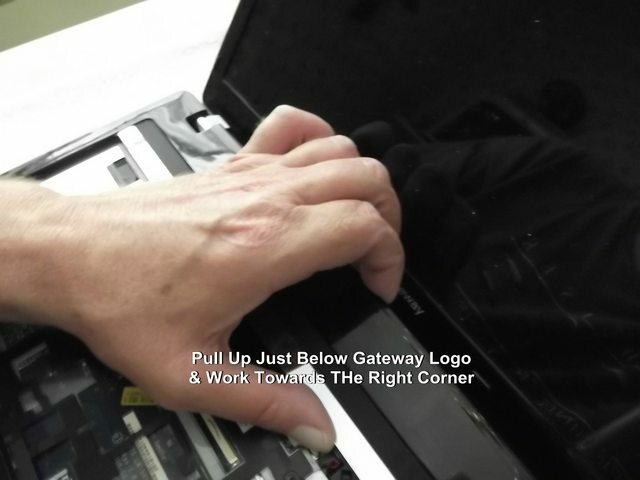 Grab the black middle section of palmrest near screen, just below Gateway logo,, in the middle and pull up. Work towards the right top corner, pull and snap up. 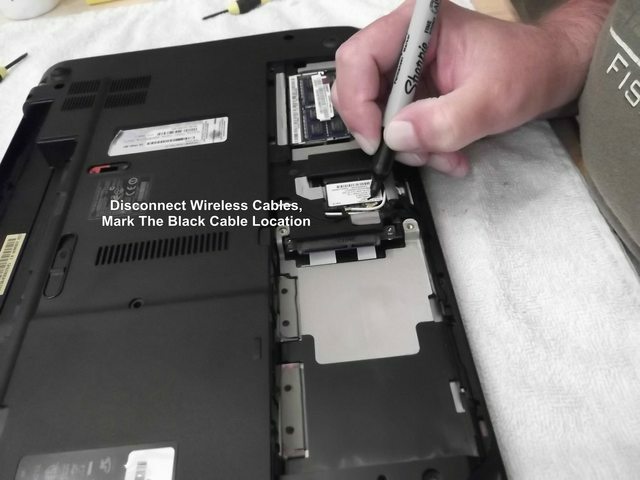 Make sure you have all cables and screws out of plamrest are. 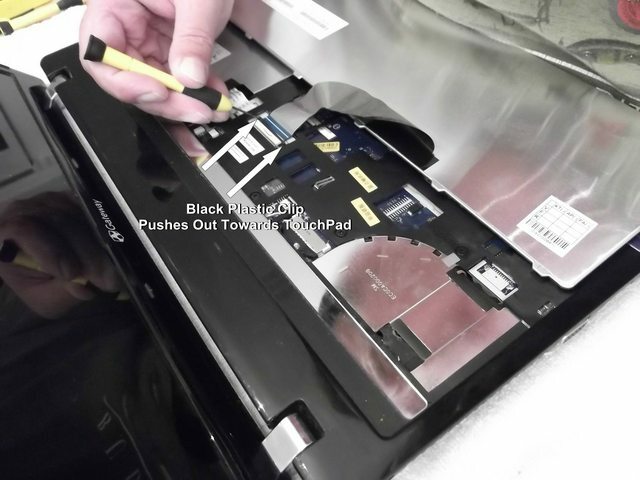 Palmrest / Touchpad now off, free from laptop. 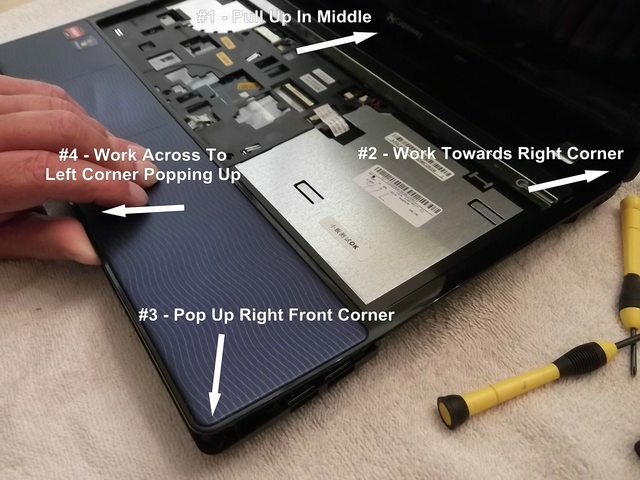 Very nice instructions and photos! Thanks for sharing! 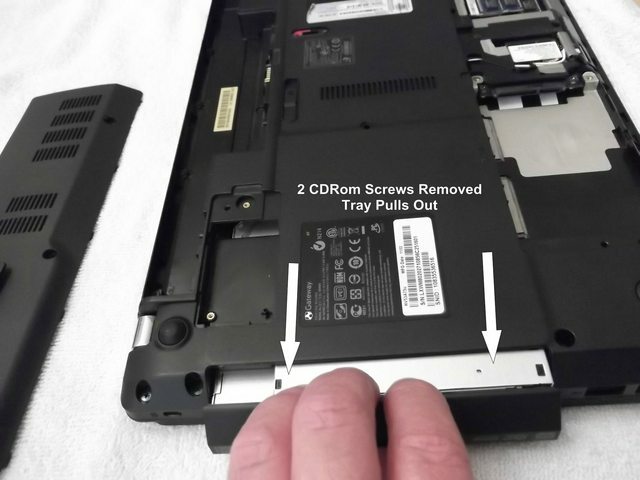 Nice, but not valid for all modells, my NV53a keyboard connector has 2 small metallic nails on ech end that prevents the black plastic clip to slice to 90 degress.